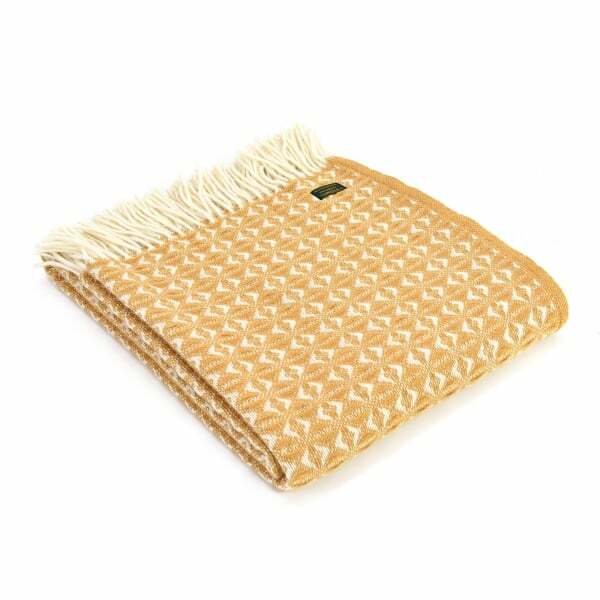 Beautiful and luxurious, this Cob Weave English Mustard Throw by Tweedmill is perfect for adding colour, comfort and style to your home. A lovely blanket made in Great Britain from 100% pure new wool using premium quality yarns, it would be ideal for keeping you warm and cosy and for draping over sofas, beds or chairs. The Tweedmill throw also makes a great picnic blanket for outdoor use during the warmer seasons. Showing our 2 Tweedmill Pure New Wool Cob Weave Throw Blanket English Mustard reviews with an average rating of Excellent. Would you like to write a review? This was given as a Christmas gift and is a lovely quality throw. Nice and Woolley and has a very nice pattern too. Colour is excellent and goes very well on the sofa in their lounge. Review - Beautiful quality throw, luxuriously thick and cuddly wool in a gorgeous soft corn colour. I love the small pattern in the weave - would recommend as looks fabulous on my sofa ! Beautiful quality throw, luxuriously thick and cuddly wool in a gorgeous soft corn colour. I love the small pattern in the weave - would recommend as looks fabulous on my sofa !